(LAS VEGAS, NV – DECEMBER 6, 2017) LiveAirShowTV was presented with a 2017 Platinum Pinnacle Award at the annual convention for the International Council of Airshows (ICAS). The Pinnacle Awards recognize innovation and excellence in the air show industry in seven categories including Support Services, for which LiveAirShowTV won. 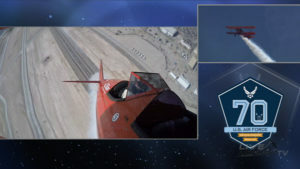 The company was recognized for its innovations in air show broadcasting, including social media integration, on-screen graphics, performer “green-screen” introductions, sponsor fulfillment, and internet distribution. “We have been pushing the boundaries for many years in our coverage of air shows,” said LiveAirShowTV president Jeff Lee, “but this year we made a quantum leap in both coordination with show operations and quality of the broadcast elements. The result was better experiences for fans on site, as well as for the audience watching online from around the world”. In addition to having four confirmed 2018 air shows with planned production coming into the ICAS annual convention, at least 16 other shows have actively engaged LiveAirShowTV to discuss making live production assets a part of their event. Official event production dates will be announced in January and as they are finalized. About International Council of Air Shows: ICAS was founded in 1967 as a trade and professional association by industry professionals to protect and promote their interests in the growing North American air show marketplace. It promotes standardization of industry practices in key areas such as safety and business practices. 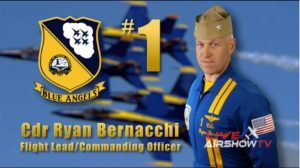 About LiveAirShowTV: LiveAirShowTV is the only company in North America that specializes in the live television production of air shows. It has produced over 100 air show broadcasts, creating thousands of hours of programming seen by millions on site at air shows with video walls, on internet, and television.